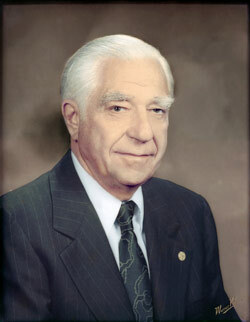 To provide recognition and to reflect our gratitude, the University offers membership in The Shepard Broad Society to those alumni and friends who, like Shepard Broad, chairman emeritus of the Barry University Board of Trustees wish to preserve and further our mission for generations to come, and who affirm their commitment to do so by means of a planned gift. Established in 1991, as the Covenant Society, Barry University renamed our planned giving society to honor Shepard Broad, a beloved benefactor and the first non-Dominican Chairman of the Board of Trustees. Shepard Broad was a prominent Miami attorney, banker, civic leader, and philanthropist and visionary. We honor him for his extraordinary vision and his commitment to higher education. All donors of planned or deferred gifts, regardless of gift size, can be recognized with membership in the Society. Planned gifts can be designated for support of any area of the University, including student scholarships, faculty, program or college support and maintenance of Barry's beautiful campus. Contact Margaret Hubbard at 305-981-5249 or mhubbard@barry.edu for additional information on becoming a part of The Shepard Broad Society.